Happy 1st Birthday, Windows 10! Microsoft’s goal for Windows 10 was to have 1 billion devices running this version within the first three years. They have admitted recently that after this first year they probably aren’t going to hit that goal, mostly due to the failing Windows 10 phone market. If you don’t know what this means, ask how many of your friends have a Windows phone and you’ll soon understand. Even after a year, though, the question remains as to whether or not you should upgrade. Microsoft allowed users to upgrade for free through the first year. Since the free upgrade has expired, is there any real rush to upgrade, especially now that you have to pay for the upgrade and the fact that Windows 7 is supported through 2020? If you did not take advantage of the free upgrade, then you probably aren’t going to pay to upgrade your existing device. You might wait and get Windows 10 when you purchase a new device. There will undoubtedly be a plethora of new Windows 10-based devices available as we inch closer to the holiday shopping season. 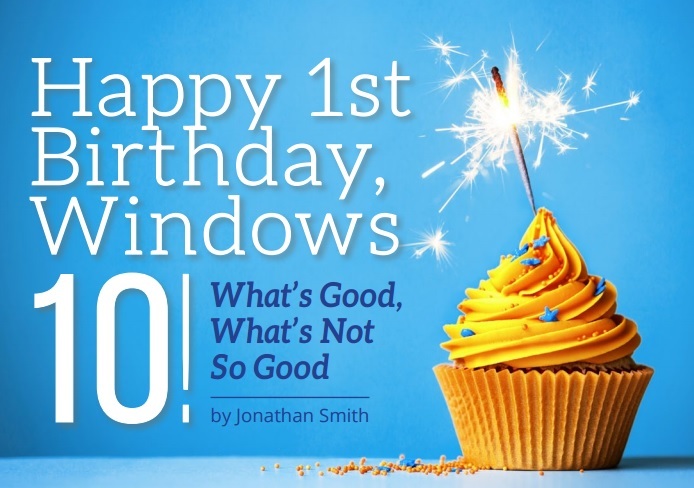 The release of Windows 10 Anniversary Edition is momentous for several reasons. First, Microsoft kept its promise in terms of the new Windows paradigm shift. No longer is Windows a product that you upgrade once every few years to a new version. Now Windows is in a perpetual state of evolution, constantly changing with feature updates and changes included with security patches. Many doubted whether Microsoft could upgrade Windows several times per year, and so far they have proven they can. The Anniversary Edition release also shows us that once a device is running Windows we won’t have to upgrade the operating system every few years. Every organization dedicates significant IT resources to operating system upgrades. Once your device is running Windows 10 it will upgrade itself—there won’t be the need for organizations to dedicate time and money to imaging machines when the next version of Windows comes out. As an IT person who has done countless Windows migrations and upgrades, this is what I’m most excited about. One of the coolest features of Windows 10 running on a Surface is the Windows Hello authentication process. This allows you to unlock your PC just by looking at your device. The Windows Hello camera logs you in based on your face. I love this feature, and in the Anniversary Edition you can now use Windows Hello to login to websites and apps. Instead of remembering your password you just have to remember to keep your head on your shoulders. This may be problematic for those who say they would forget their head if it wasn’t attached. There have also been a ton of other under-the-hood security improvements, including an updated Windows Defender and an enterprise version called Windows Defender Advanced Threat Protection. It remains to be seen if these built-in security features will have any impact on the third-party security/malware/anti-virus markets. For touch screen users Windows Ink has also been built into the update. Windows Ink allows you to write on your screen and convert handwriting to text. It also provides for greater interaction using a pen or stylus with Microsoft Office and other apps that have the Ink functionality built into them. The new browser in Windows 10, Microsoft Edge, is also starting to gain some maturity. Edge was released with Windows 10 but it too is undergoing an evolutionary process. With the Anniversary Edition, Microsoft Edge now supports extensions and many more web standards, including HTML5. It has also had significant under-the-hood improvements. Translation— you can start using Edge on many of the sites that didn’t work on it before. Only time will tell whether or not this will convince you to switch to Edge as your browser of choice. My favorite improvement is the ability to pin apps to virtual desktops. Windows 10 first brought virtual desktops to Windows users (better late than never). Virtual desktops allow you to have different applications running on different desktops so you don’t have to open everything in a single place. One desktop could be running Word, Excel, and Outlook, while another desktop could be running all of your open browser windows. You could then have all of your games running on a third desktop, then when the boss walks by . . .
With Windows 10 Anniversary Edition you can now send a single app to all your desktops, so if you want to be able to view your email across all your virtual desktops you can now open it once and have it appear on all desktops as opposed to having to open your email individually on every desktop. Other improvements include more functionality for Cortana, better gaming integration with Xbox, additional desktop themes, more control over the action center and notifications, and better management tools for education and classroom environments. Windows 10 is here to stay. While there may be a learning curve for some users, it is hopefully a learning curve you will only have to experience once. 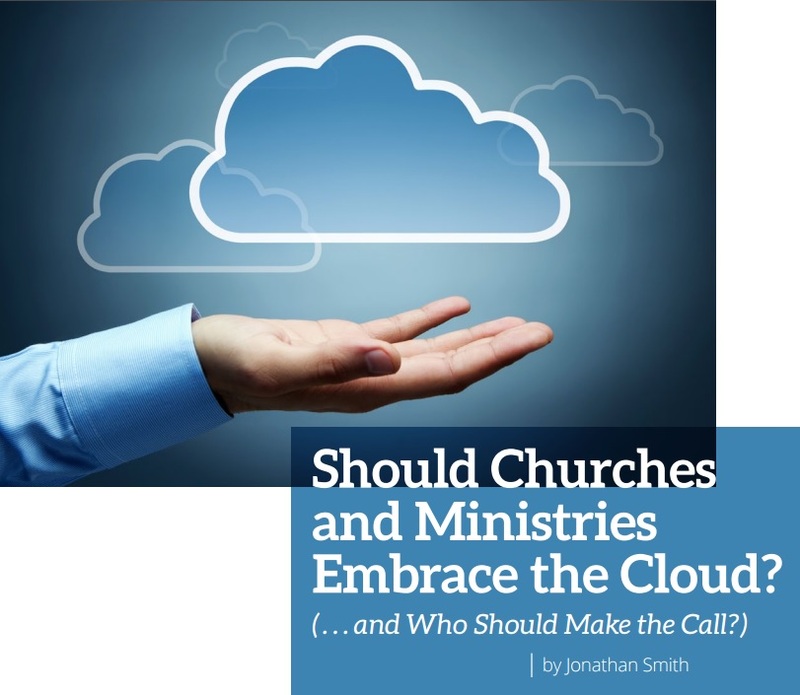 Should Churches and Ministries Embrace the Cloud? To embrace the cloud, or not to embrace the cloud, that is the question. Pardon the Shakespearean paraphrase, but there are a lot of questions swirling around churches and ministries as they consider using cloud services for everything from email and file services to Active Directory. There is also a disconnect between what the IT team says is best for the ministry and what church leadership thinks in terms of utilizing cloud-based services. Cloud-based services offer many benefits over hosting your own services, but you’ll want to make sure you are using a reputable vender. It is important to look at the SLA, or Service Level Agreement, to ensure that your provider will keep their services running so your ministry effectiveness isn’t impacted. When you host your own email and/or file servers you have much more control over downtime because you probably have physical access to the server and the people running those servers. When you host in the cloud you may not have direct access to the servers so you are dependent on your provider to resolve any issues that create downtime. Using a reputable host like Microsoft or Google will ensure reliability, but there are other companies that provide cloud based services for just about everything, and you want to make sure a provider’s reliability won’t negatively impact your ministry. One of the biggest benefits of using cloud-based services is that they take a huge support load off the IT team. No longer are they responsible for maintaining and patching servers. If the servers are on your site then you may also have cooling, power or data issues to consider as well. What happens when the cooling units fail? 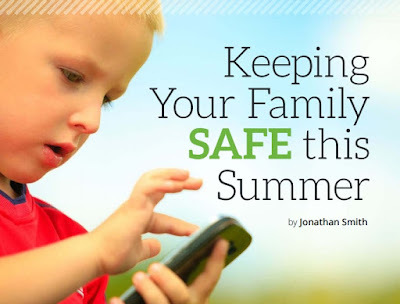 Do you have sufficient battery backup or a generator for power outages? What happens when your Internet connectivity goes down? Moving to the cloud avoids all these issues as cloud-based services are hosted in large, commercial data centers where power, air conditioning, and data reliability are taken care of for you. Cloud services can also play a huge role in your disaster recovery and backup strategies. Remember that disaster recovery and backups are not the same thing. Backups are for recovering data, while disaster recovery refers to how much time is necessary to get your services (like email, files, ChMS, etc.) back into operation after a disaster. By placing these services in the cloud you can enhance these strategies. If a natural disaster wipes out your on-site datacenter what would you do? In the church world think of what happens if a significant tornado or hurricane or earthquake (hopefully not all three at once!) hits your area on a Saturday night. Do you have a way to notify your congregation about your plans for Sunday morning? How fast can you get your email and ChMS back up and running? By placing services like your email and ChMS in the cloud, the responsibility of keeping things running falls to your provider. A cloud-based provider will more than likely have your data spread out across servers and datacenters in multiple geographic locations. The same is true for your backups: they are no longer located on your site and you no longer have to relocate backup tapes to ensure your backups are spread out geographically. Most cloud vendors can also provide more backup space then many churches or ministries would be able to afford on their own. This means when the natural disaster hits your area, your services continue to operate. How many churches or ministries are able to provide geographic and hardware redundancy on their own? And if they are able, is it good stewardship of those funds? By now you may be thinking to yourself that the cloud sounds too good to be true. “You mean I can place my data, my email, my files, my ChMS, my whatever in the cloud and not have to worry about natural disasters, power outages, cooling equipment failures and maintenance, internet outages, security patches, backups and disaster recovery all while saving the IT team a lot of time, effort, and money? Sign me up!” Hold on, not so fast. Whether to move your ministry to the cloud may not be so obvious. While there are obvious benefits, there are also a few challenges. Many in the IT profession believe it is their job to protect the data and ensure it is kept safe. This is why I do not believe this is an IT decision, but rather a church leadership decision. 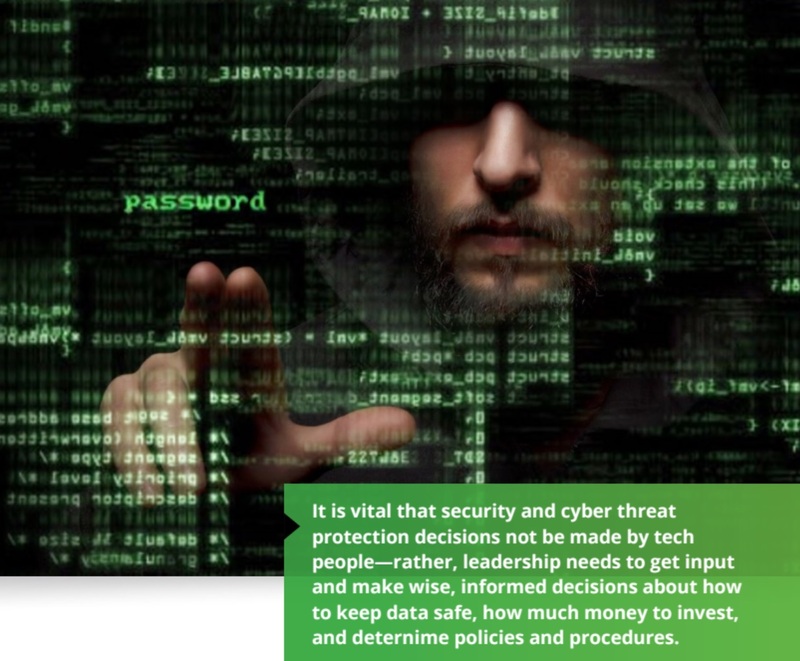 The IT team should make recommendations based on their knowledge and experience, but the data belongs to the church, and the church leadership should decide how to keep that data safe, including how and where it is stored. For some that may mean moving to the cloud, for others, they may feel more comfortable keeping their data on-site and managing it locally. There is also the challenge of the IT team. IT folks don’t like to give up control, and moving data and services to the cloud means they will be giving up some control. I strongly believe the benefits to embracing the cloud far outweigh any negatives, including any control IT might lose. 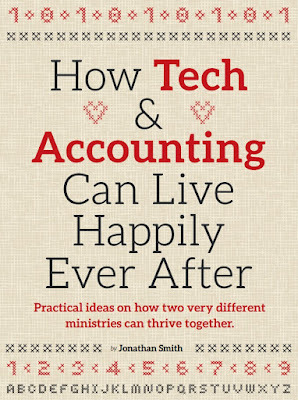 For some IT professionals, especially those who have come out of the corporate world, this can be particularly difficult, but it’s one of the many ways ministry IT varies from corporate IT. As an IT staff member in a ministry I view my primary objective to be constantly working myself out of a job. My goal is to equip and empower those I support for greater ministry effectiveness. I have no desire to attempt self-preservation by keeping data or services tightly locked up in my control to ensure the long-term security of my job. That level of selfishness only benefits the IT person, not the ministry. Most ministries run lean, so there is always plenty for the IT team to do. The more I empower others and work myself out of some jobs, the more I can focus my time on other areas that may require a specific technology skillset. Every ministry has to decide where to spend their money. I would much rather use technology— including embracing the cloud—to save money so they can hire additional ministry staff as opposed to hiring additional technology staff to manage technology that could be moved to the cloud. Again, these are leadership decisions, but this is often where the IT team and church leadership may not see eye-to-eye. 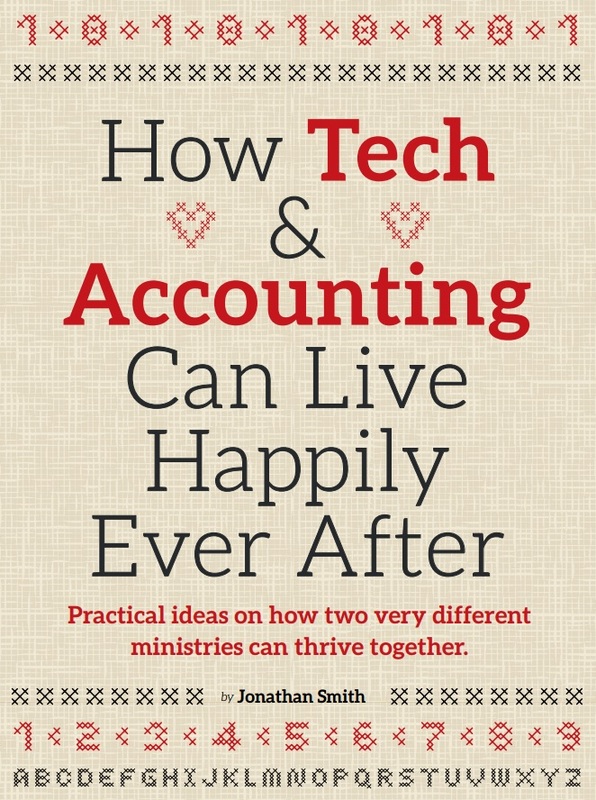 So, should your church or ministry embrace the cloud? I think so—provided the IT team and church leadership have worked together to understand the issues and implement the cloud in a way that empowers the ministry for greater effectiveness.